Reduce hiring costs by 85%, increase diversity, and double retention. 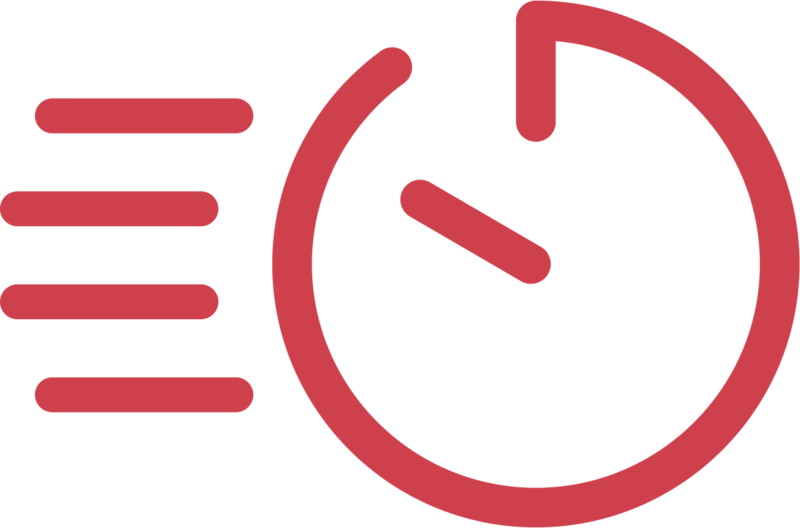 Find the right talent faster and at a drastically lower cost-per-hire. Candidates are automatically identified and employees are proactively asked to send referrals. Dynamic rewards, a fun UI, & leaderboards keep employees actively sending referrals. 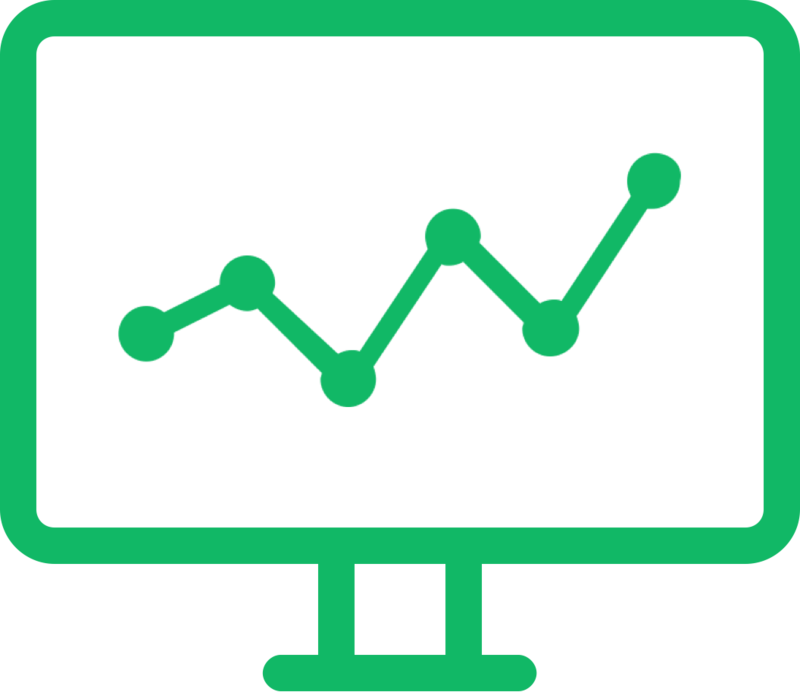 ATS integrations keeps your data synced while Boon analytics gives you deep insight into performance and ROI. 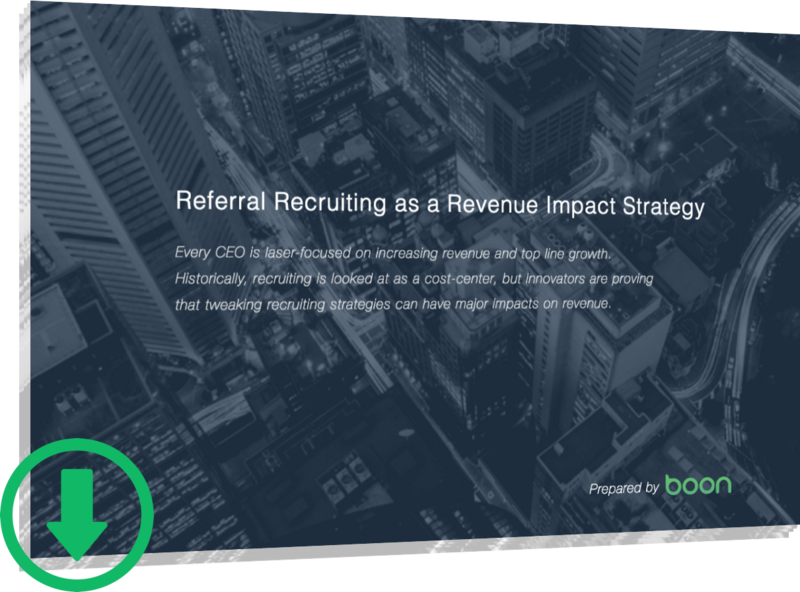 Referral recruiting directly impacts revenue by being the most cost-effective recruiting strategy. 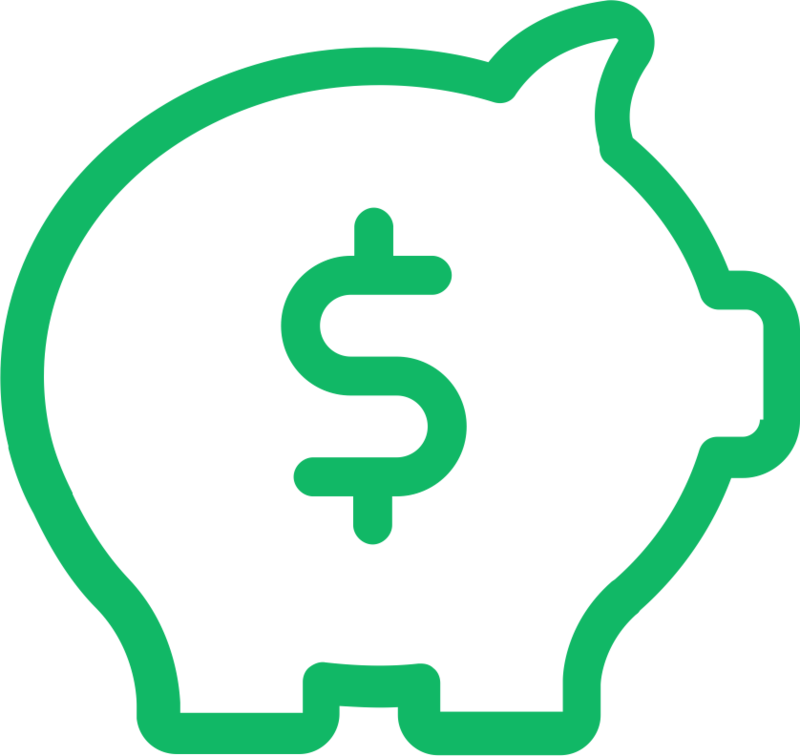 Boon allows you to build a thriving referral program without the expensive overhead and maintenance costs. Referral recruiting shortens hiring timelines immediately, increasing the odds in closing the right hire. 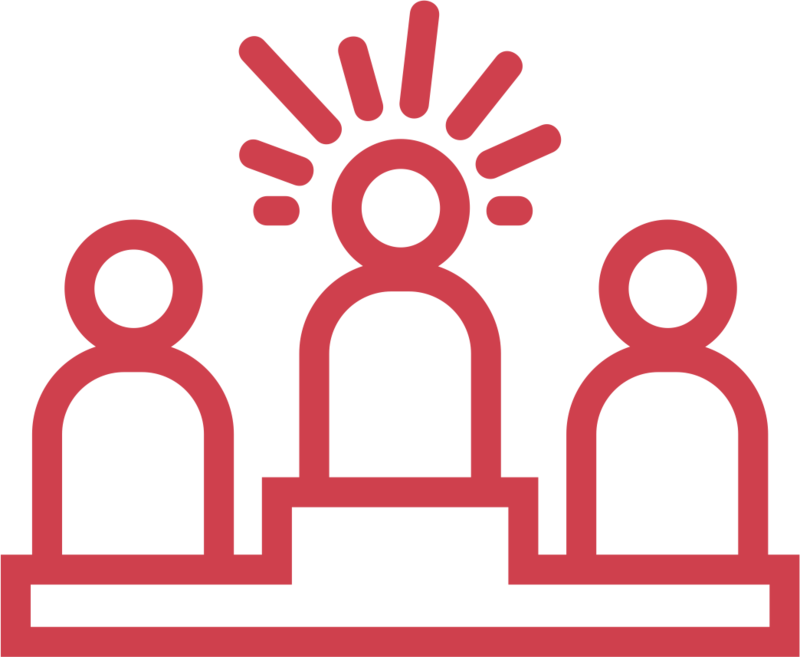 Referrals keep your team engaged by involving them in the team-building process and improving internal mobility. Employees are the lifeblood of any company. Invest in the right recruiting strategy now and gain a definitive edge on your competition in the form of a brilliantly talented staff. 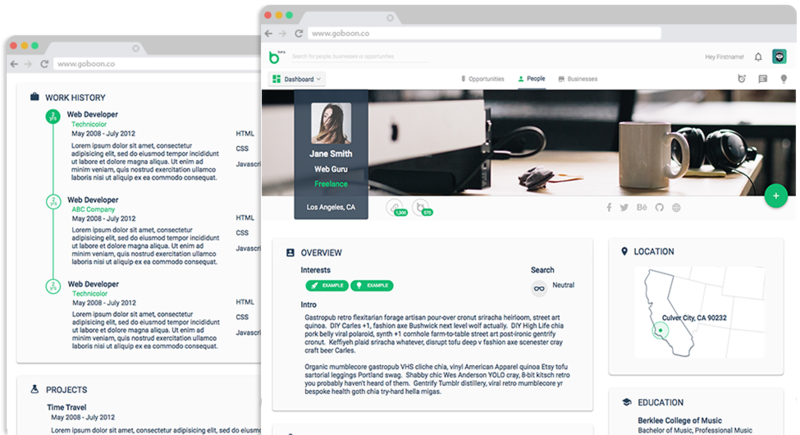 Boon proactively identifies the absolute best-fit candidates in your organization's collective network. 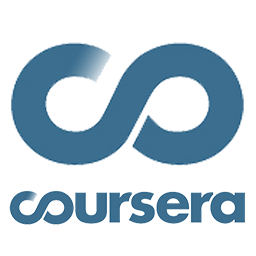 Machine-learning capabilities improve matching accuracy over time. Gain access to previously unreachable talent pools with mobile referral capabilities. "Boon has completely transformed how our team finds new talent. Our cost-per-hire has dropped by 80% and we hire in half the time." Boon intuitively knows who to ask. 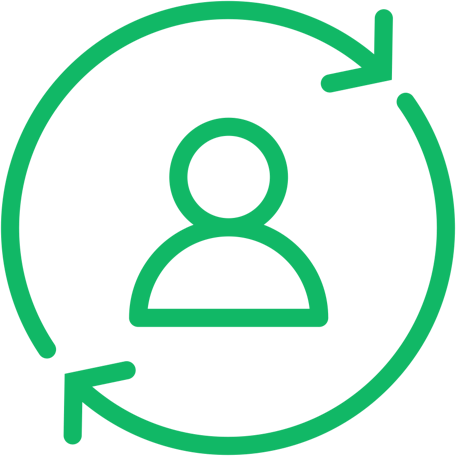 Employees are proactively notified when matches are identified and can send a referral in seconds. 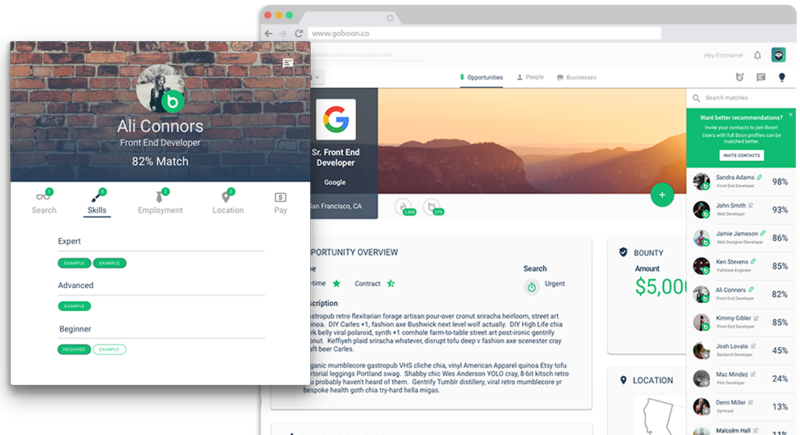 Inspire viral recruiting campaigns with social integrations, custom rewards, and gamification. Hone in on your sweet spot with custom reward modules that allow you to A|B test incentives. 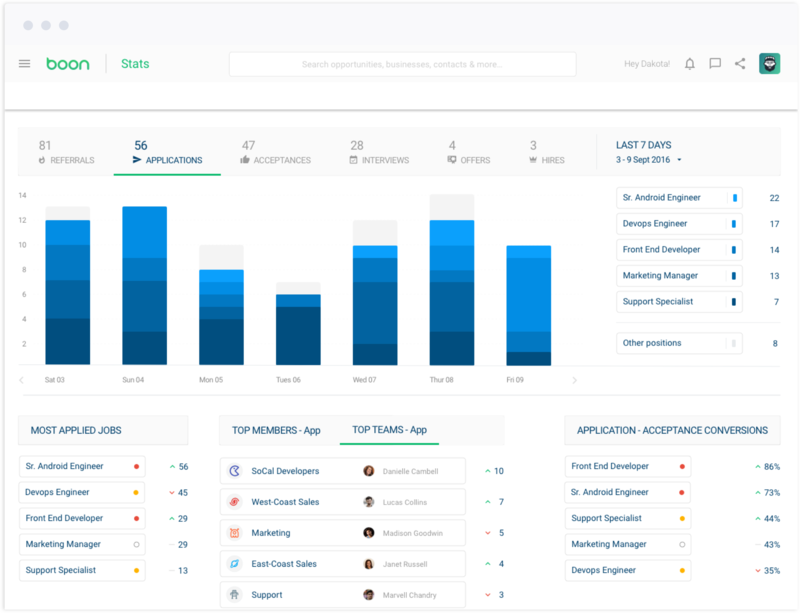 Gain visibility into critical aspects of your referral program in one beautiful UI. Uncover key insights with leaderboards, conversion charts, and progress reports. 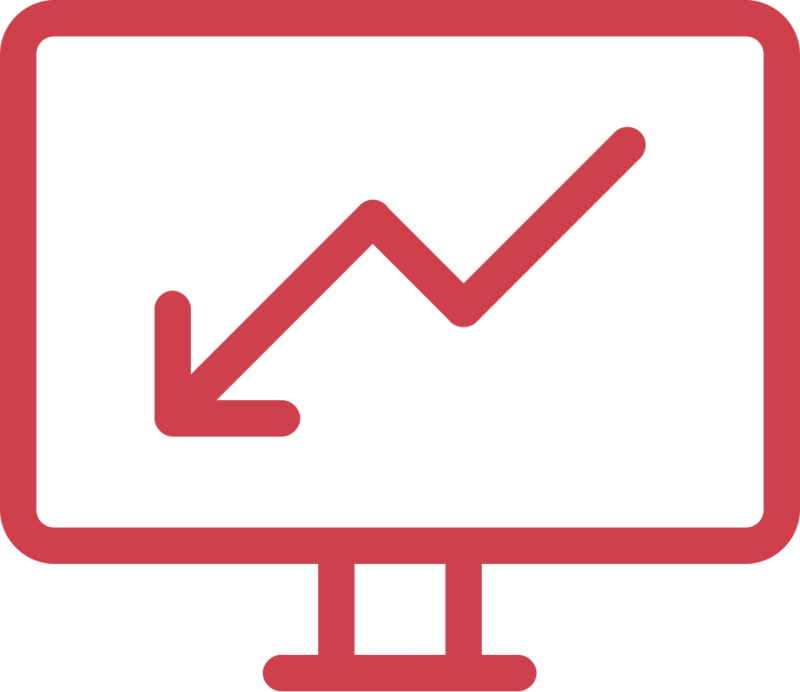 Measure ROI across all of your recruiting efforts with revenue tracking capabilities. Rally your network into action with proactive referral requests and gamification. Hire, nurture, and retain a cohesive team. "This is a brilliant idea. "Love the UI. It's easy to use, modern, and fun!" 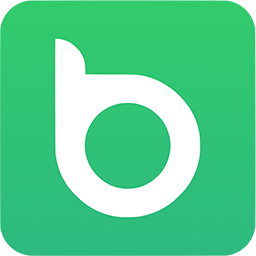 "Boon is the most powerful referral platform by far!" A decade ago LinkedIn revolutionized recruiting by bringing searchable resumes and talent onto the internet. Today Boon is taking the next leap. 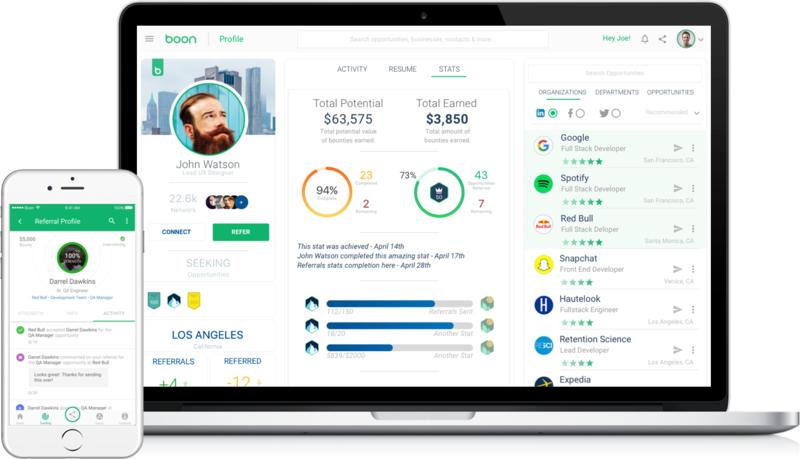 Through semantic matching algorithms and proactive referral requests, Boon gets conversations started with the right candidates at the right time. No searching required. 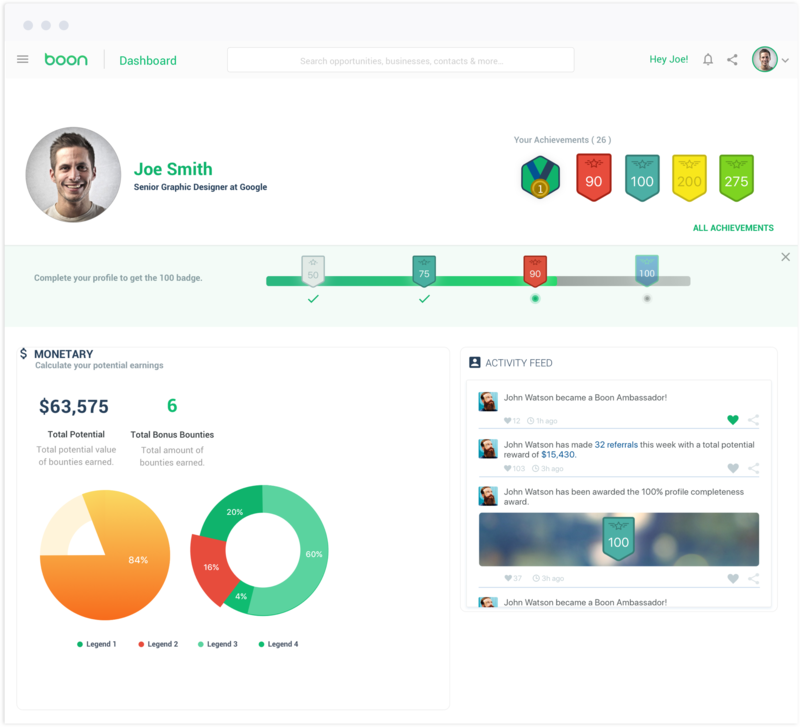 Boon proactively identifies the best passive talent in your network's social graph and automatically engages the right employee to refer, creating a consistent and quality talent flow. Referred talent is quicker to hire, performs better, and stays longer. A thriving referral program has major compounding impacts on revenue that can transform a company. Have full control and gain valuable insights, made simple. Powerful integrations enable your existing solutions to work together more efficiently, while Boon's data & analytics suite provides valuable insights that allow you to manage and optimize everything. Have all of your questions answered when it's convenient for you. Plans for every stage of your business.